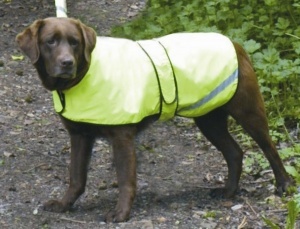 The Safety Coat from Cosipet - Be safe, be seen. A high visibility reflective waterproof fabric plus safety strips. Fluorescent yellow. Made exclusively in the UK. Machine washable at 40c.